How to maintain brand consistency across multiple digital channels? What are the key considerations when branding for the web? What are the opportunities & possibilities within digital branding? Paco Viñoly is Design Director at Square, overseeing a creative group comprised of graphic design, packaging, interactive, photography, and video production. He was most recently the Head of Digital for BermanBraun, where he led the team responsible for the digital business and media partnerships with Microsoft and Aol. Prior to BermanBraun, Viñoly served as Sr. Director of UX for Yahoo! managing the creative teams for the media properties. He also served as CD at CNET Networks and Bank of America. Viñoly earned a BS in Economics from Carnegie Mellon and later completed his studies at Art Center College of Design. 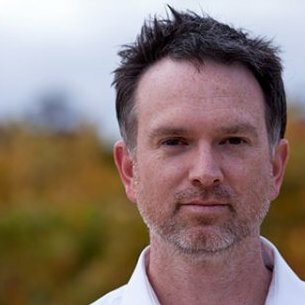 Sam Moreau is a design leader at Microsoft where he was a central part of the industry shaping move to the modern “Metro” design principles. He has recently become the Design and Research Director for the Microsoft Office division where he is building a world-class design team to reimagine the essential apps and services that power productivity. Prior to this role, Sam was the Design Director for the Windows operating system where he led the team that shipped windows 7 and Windows 8. Before joining Microsoft in 2006, Sam spent 13 years in silicon Valley at various companies such as Yahoo!, MetaTV, Excite@Home, Diesel Design, NewMedia Magazine, and Stanford University. Andrew is the Head of Design at Uber where he and his team are creating the future of local transportation and delivery. Prior to Uber, Andrew was the Global Director, Brand & Design for GE and collaborated with GE’s businesses to set and execute on a vision for great brand experiences. Leading both the Design and Brand Councils, Andrew worked directly with product leaders blending brand and design to affect positive outcomes for customers. He leans on 25 years of experience in visual, interaction, and product design and has a deep perspective on creating meaningful product experiences for people. Innovation Enterprise is an independent business-to-business multi-channel media brand focused on the information needs of Senior Big Data, Strategy, Analytics, Digital, Finance, Innovation, Operations & Decision Support executives. In addition to live conferences & summits our products include digital on-demand video content, live webinars & on-demand webcasts plus online communities & lead generation services. We also provide digital marketing services as well as on-site custom production and custom research to fortune 500 clients. Whether it's delivered online, or in person, everything Innovation Enterprise produces reflects the company's unshakeable belief in the power of information to spur innovation.see less This is a selection of Keynote Speakers discussing themes within the industry. Danny has worked on web sites for almost 20 years. He is currently the VP of Global Digital Experience for Pizza Hut. 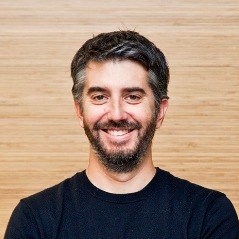 He previously spent 6 years at Sephora, where he oversaw improvements to the beauty company's website and mobile experiences, and 3 years at Gap Inc., where he helped the clothing retailer rebuild and unify its web platform and launch Piperlime.com. Danny earned his MBA from the Wharton School at the University of Pennsylvania and his Bachelor of Arts degree from Duke University.